Please call (877) 627-5094 for further assistance. This is a 0.42 carat Round shape, D color, VS1 clarity diamond accompanied by a GIA grading report. Generally, cut refers to both the shape of a stone (round, marquise, princess cut, oval, etc.) and the proportions and finish of a diamond also known as \"make\". The make of a stone is the most important factor in determining how much sparkle comes from a diamond. The height of a diamond (measured from the : to the table) divided by the width of the diamond. The depth % is critical to creating brilliance and fire in a diamond; a depth % that is too low or too high will cause a diamond to lack sparkle. The largest facet on a diamond, located on the top of the diamond facing out from the setting. The Table % is the width of the table divided by the total diameter of the diamond. The table % is critical to creating sparkle in a diamond; a table % that is too low or too high will cause a diamond to lack sparkle. A grade given to the external finish of a stone. The polish scale ranges from poor to excellent. A glow, usually of a bluish color, which emanates from certain diamonds when exposed to ultraviolet light. Faint fluorescence usually does not affect the appearance of a diamond. Strong, very strong and sometimes medium blue fluorescence may slightly improve the color appearance of diamonds rated \"H\" in color or below (I,J,K etc). We have access to far more diamonds than just the ones that you see listed here. 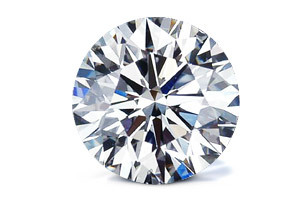 Let us put our industry connections to work for you to find the perfect diamond at the lowest price possible. This diamond is cut to more exacting standards than the finest graded cuts currently available. With an Affinity cut, this diamond reflects the maximum brilliance. This is our finest grade of diamond cut. A diamond with a "D" color is considered colorless and the highest possible grade for color. Very slightly included diamonds contain minor inclusions that range from difficult to somewhat easy to see under 10 x magnifications. Typical VS inclusions are small crystals, feathers or clouds. 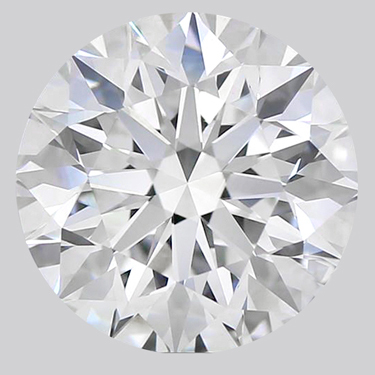 In some rare cases, a VS stone can contain an eye visible inclusion, but most VS1 and VS2 diamonds is eye clean when viewed in the face up position as well as being excellent quality diamonds.